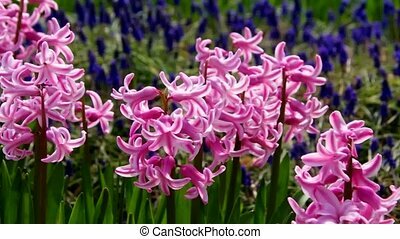 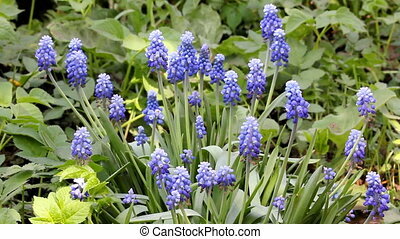 Several grape hyacinths in spring. 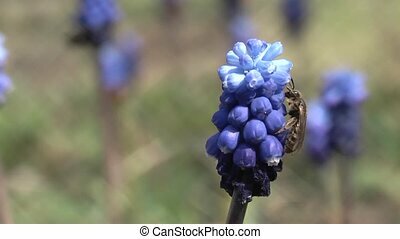 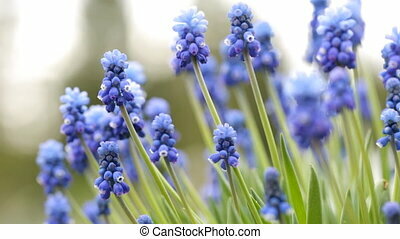 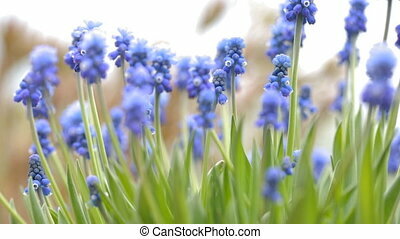 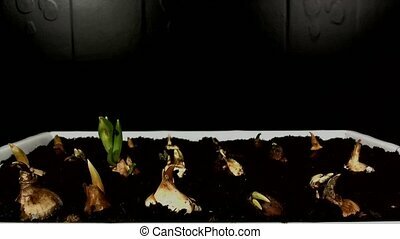 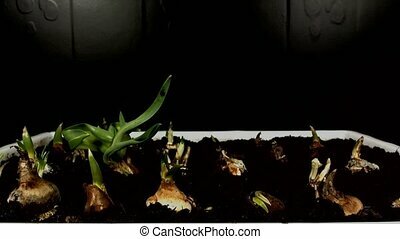 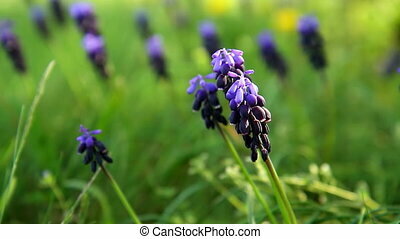 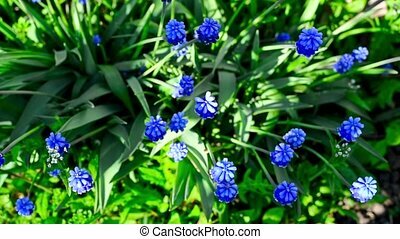 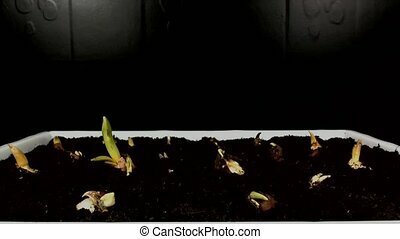 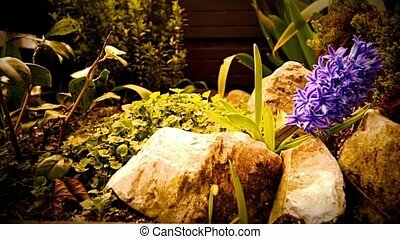 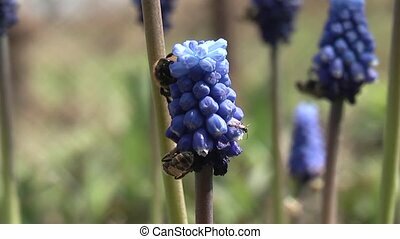 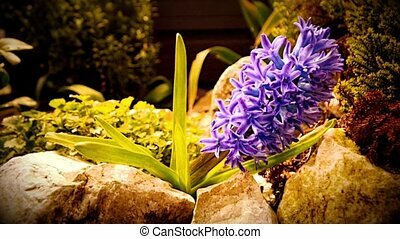 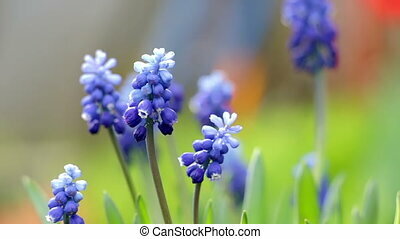 Time lapse of bulbes grape hyacinth Muscari flowers blooming. 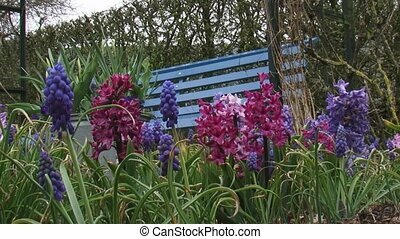 in garden.